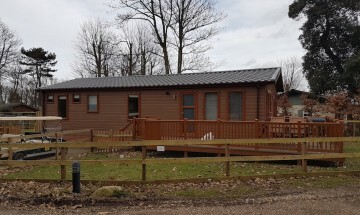 This immaculate 2 bedroom lodge sited on plot 35 at Cliff House Holiday Park in Dunwich Suffolk is available for self catering on a short break with a 3 night weekend Friday to Monday, 4 night Weekday booking Monday to Friday and Saturday to Saturday, other combinations are available on request. Juniper will comfortably sleep up to 6 People. 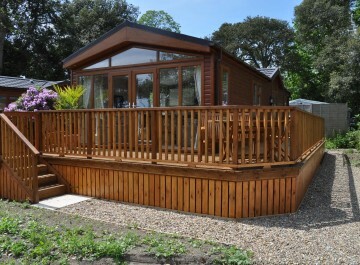 This homely lodge is situated on a quiet spot at Cliff House Holiday Park. 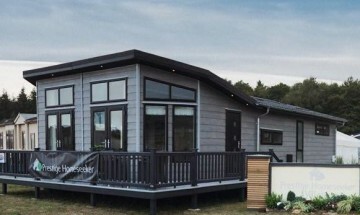 It has two bedrooms, one double with an en suite and one twin bedded. It also has a family batheroom. 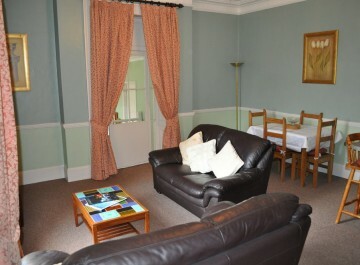 There is a double bed settee in the lounge/diner so comfortably sleeps 4 -6 people. It also has a family bathroom. 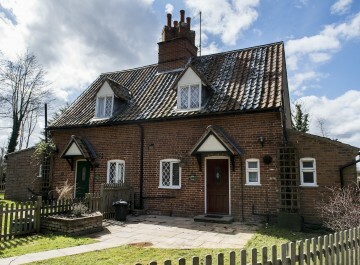 The kitchen is fully equipped with a gas hob, electric oven, microwave, large fridge/freezer and a washer drier. There is a flat screen TV in the lounge. 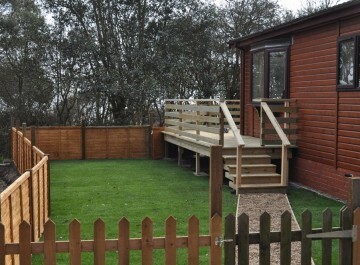 The lodge has central heating and double glazing as well as an enclosed garden with decking to sit out on. All bed linen and towels are supplied. Cot and hi-chair are available at no extra charge on request. Sorry we don't allow pets.